WaPo is about to publish a book by Greg Miller titled "The Apprentice: Trump, Russia and the Subversion of American Democracy." The first excerpt came out on the web Wednesday morning, and it'll be in the print paper this weekend. But Miller has competition: The NYT has a very similar feature in Thursday's paper. It's an entire special section, actually, titled "The Plot To Subvert An Election." It promises to reveal the Russia story "so far," and it's written by Scott Shane and Mark Mazzetti. 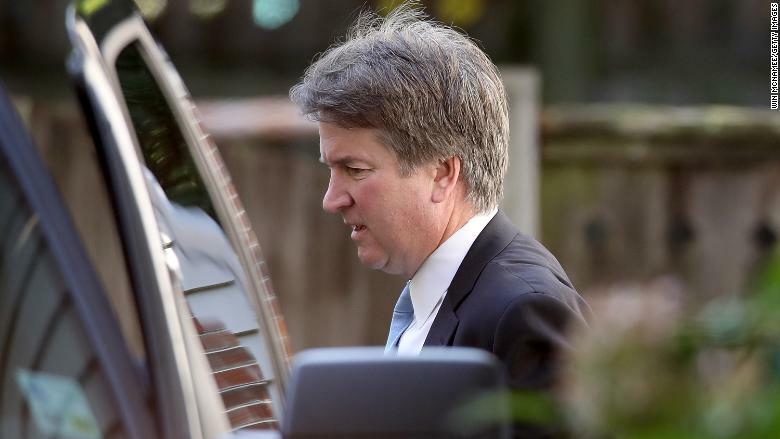 Jeffrey Toobin on "AC360:" "If she refuses to testify on Monday, Kavanaugh is getting confirmed... If she DOES testify, then I think all the cards are thrown up in the air. He may well be confirmed anyway. But I think everybody should be clear about what the stakes are, of her decision to come forward or not before the committee. It's up or down." The NYT's Kevin Roose wrote about the "torrent of misinformation" targeting Ford. He says some viral rumors about Ford have been debunked, "but false claims have continued to spread." Here's his story about some of the lies. To borrow a famous phrase, the tech platforms are still putting on their shoes. Tom Kludt emails: Even when faced with a deafening public uproar last week, New York Review of Books editor Ian Buruma defended his magazine's decision to publish a Jian Ghomeshi essay that sought to "inject nuance" in the #MeToo debate. >> Erik Wemple's take: "First-person pieces, it turns out, often require more editing, more supervision than conventionally reported pieces. Don't hand over your publication's keys to your essayist. That's what Medium is for..."
"I don't think I've ever seen the news team this collectively sad and upset"
The state of the podcast biz is...? I keep hearing media execs express doubts about the sustainability of the podcast ecosystem. Numerous media companies are looking at pods and wondering, in essence, where's the $$$?